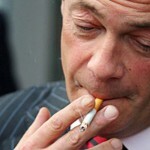 Ukip leader Nigel Farage today criticised proposed new plain cigarette packaging laws as “unworkable”. “This legislation will make life very hard for our policy team, who work on the backs of fag packets all the time,” said Farage. Nigel Farage has a postgraduate degree in smoking, and claims to have studied Advanced Tobacco Consumption at the University of Middle England, Britainshire. Public Health Minister Jane Ellison told MPs that the government’s move to prohibit branded cigarette packaging was likely to have a positive impact on public health, particularly for children. 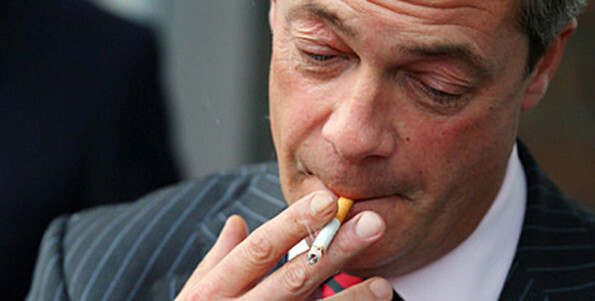 “My children are proud passive smokers,” railed Farage. “Giving yourself and others around you lung cancer is a fundamental British right. “Since Sir Walter Raleigh introduced the weed to Britain we have had a great tradition in this country of many disgusting chest conditions and making the environment horrible for other people.